When Great-Uncle Horace brings back lost and homeless animals from his travels around the globe, it falls to Zoe and her mum, the zoo vet, to settle them into their new home. Zoe’s good at this, because she can understand what they say and talk to them, too. But that’s a secret. A new baby koala has arrived at the zoo, and he’s very clumsy. Zoe is a bit worried he’s going to hurt himself. 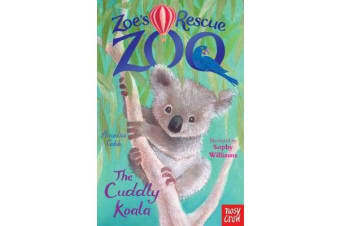 So she comes up with a very cuddly way to keep him safe – a koala sling!